Kevin McNulty co-founded First Western Properties – Management in 2009 with the idea of creating a results driven, proactive property management company founded on a team oriented culture and entrepreneurial mind set. Kevin has been actively managing real estate since 2002 specializing in medical, office, retail and industrial properties. Before becoming a founding member of First Western Properties – Management, Kevin worked at one of the countries larges vertically integrated retail real estate companies, Madison Marquette where he managed 1.2 million square feet of prime Seattle retail real estate. In his position at First Western Properties – Management, Kevin has built a solid team of asset managers who are dedicated to the culture of responsiveness, teamwork and customer service. He has managed many major projects including the extensive renovation of a South Lake Union office bjuilding to meet LEED Gold certification along with façade renovation and rebranding of a retail center in Southcenter. In addition to managing the First Western Properties – Management team, Kevin continues to actively manage properties with an eye on maximizing their investment potential and providing impeccable customer service to his clients and tenants. Kevin has a BA in Economics from the University of Washington and a MBA from Pacific Lutheran University. 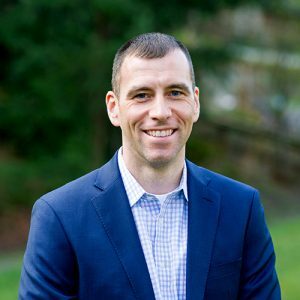 A lifelong Seattleite, Kevin grew up on Capitol Hill and currently lives in NE Seattle with his wife and three school aged sons. Kevin enjoys playing tennis and golf and is teaching the game to his sons in hopes of always having a playing partner in the future.